Did you know that thousands of companies use Runrun.it as their professional communication platform? 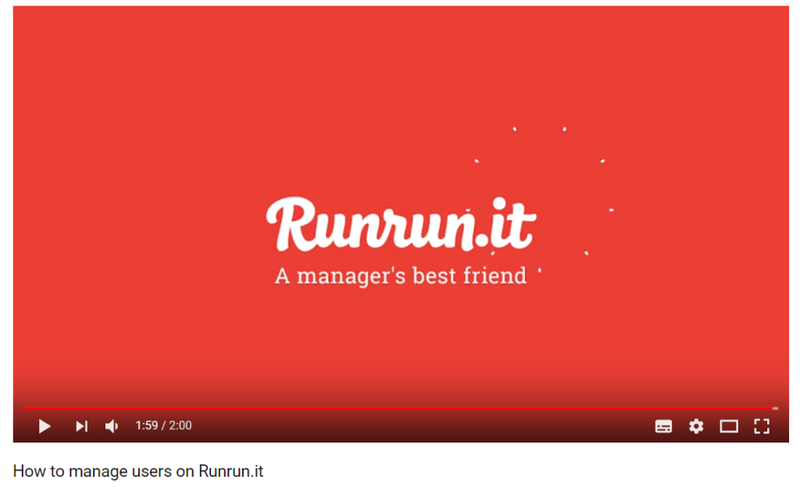 Over the last few days, we released a series of improvements to Runrun.it’s comments section, consisting of a veritable slew of updates that will allow your company to use Runrun.it as a tool for communications and the formalization of discussions and decisions, besides its traditional use for managing your team’s projects and workflows. You will no longer need to have conversations that are splintered over various programs and tools like email, chats, cloud storage, apps in general. All your communications can now be housing in a single location! The communications that occur within individual tasks remain categorized by project and client so that there is a clear history of decisions and there timing. The knowledge that is generated by your teams is therefore perpetuated in a secure and structured environment. Here are some of the things we’ve changed and how they will benefit your company! Using Runrun.it, you can decide whether comments can be edited or deleted after a certain amount of time. It’s up to you, if you want to keep everything engraved in stone, you can. Or you can permit alterations or deletions. Just go to Admin>Settings and select the desired option. 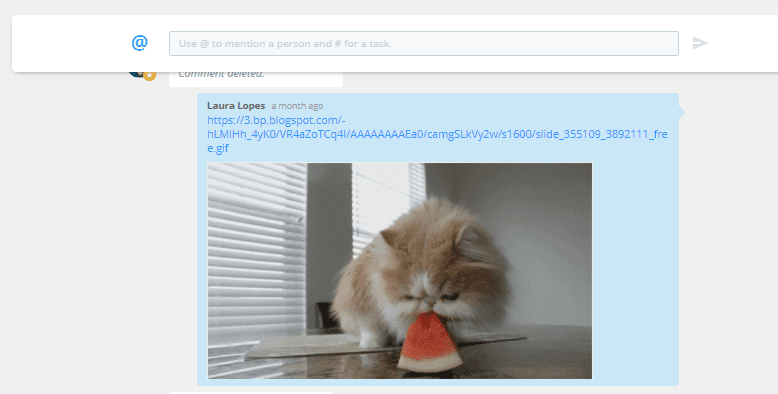 By default, comments or attachments can only be deleted within 15 minutes of being posted. But regardless of the option chosen, if someone removes something, the system keeps track of who deleted it and when. Important: Only the comment owner and account administrators can do this. And in the case of attachments, only the person who added the attachment can erase it. You can also attach files within comments. Just drag them into the comment box or click on the corresponding icon. Each file type has a different color. Thus, you can easily distinguish between PDFs, PNGs, and XLSs, for example. Important: to post a file within a comment, you must include some accompanying remarks. Otherwise, a lack of any commentary could sow confusion within your team! Links to YouTube videos can also be embedded within comments. You can also watch them without leaving the Runrun.it environment – just click play. Did you know that you can reference people on Runrun.it? Just begin your text with “@” or click the icon on the left side of the comment box. It’s easy! The changes we made to the task comments were replicated in Runrun.it’s new Bulletin (Mural), except for the inclusion of attachments. The layout has been reimagined to keep your conversations more organized. Each registered team on Runrun.it has a dedicated bulletin. When you receive a new message, the system will display a number (in orange) next to the bulletin’s name. You can use it to message everyone in the company or to communicate with just the teams you’re on! Runrun.it, where work happens, and you are in complete control!